A purchase order is a commercial source documentSource DocumentsEvery time a business is involved in a financial transaction, a paper trail is generated. This paper trail is referred to in accounting as source documents. Whether checks are written to be paid out, sales are made to generate receipts, billing invoices are sent by suppliers, work hours are recorded on an employee’s time sheet – all the respective documents are source documents. that is issued by a business’ purchasing department when placing an order with its vendors or suppliers. The document indicates the details on the items that are to be purchased such as the types of good, quantity, and its price. In simple terms, it is the contract drafted by the buyer when purchasing goods from the seller. Before sending out the purchase order to the supplier, the first step is to create a purchase requisition. It is a document issued within the company to the purchasing department to keep track of the goods ordered. The purchase requisition also helps the company keep an account of their expensesExpensesAn expense is a type of expenditure that flows through the income statement and is deducted from revenue to arrive at net income. Expenses are considered. The PO is created only after the purchase requisition is approved by the authorized manager. When the goods that need to be purchased are agreed upon, the purchase order is created. The PO lists the date of the order, FOB shipping informationFreight on Board (FOB)Freight on Board (FOB), also referred to as Free on Board, is an international commercial law term published by the International Chamber of Commerce (ICC). It indicates the point at which the costs and risks of shipped goods shift from the seller to the buyer., discount terms, names of the buyer and seller, description of the goods being purchased, item number, price, quantity, and the PO number. The PO number is a unique number associated with a certain order. It serves two purposes; one is to ensure that the goods ordered match the ones that were received and the second, the PO number is matched to the invoice to make sure the buyer is charged the right amount for the goods. At the bottom of the purchase order is a dotted line for the authorized manager to sign off on the order. The PO includes all the details about the transaction and what the buyer expects to receive. Once the seller receives the PO, they have the right to either accept or reject the document. However, once the PO is accepted, it becomes a legally binding contract for both parties involved. Once the order has been placed, the purchase order remains “open.” An open purchase order is a PO where the order is placed but the goods have not yet been received, or it can mean that only part of the order has been received. Either way, it signifies that the delivery of the goods is not complete. Purchase orders bring several benefits to the company. The most important being that it helps avoid duplicate orders. When a company decides to scale the business, POs can help keep track of what has been ordered and from whom. Also, when a buyer orders similar products, matching the invoices can be hard. The PO serves as a check for the invoices that need to be paid. In addition, POs help keep track of incoming orders, and a well-organized purchase order system can help simplify the inventoryInventoryInventory is a current asset account found on the balance sheet consisting of all raw materials, work-in-progress, and finished goods that a company has accumulated. It is often deemed the most illiquid of all current assets, and thus it is excluded from the numerator in the quick ratio calculation. and shipping process. Purchase orders serve as legal documents and help avoid any future disputes regarding the transaction. How Does the Supplier Use the Purchase Order? Purchase orders play a major role in the inventory management process. When the supplier receives the PO, they will take the items listed in the PO from their inventory. The PO helps keep a record of the inventory on hand and identify any discrepancies between the values shown in the records and the actual stock. Additionally, the supplier needs the PO to fulfill the order correctly. The buyer will also be charged by the supplier based on the payment terms agreed upon in the PO. 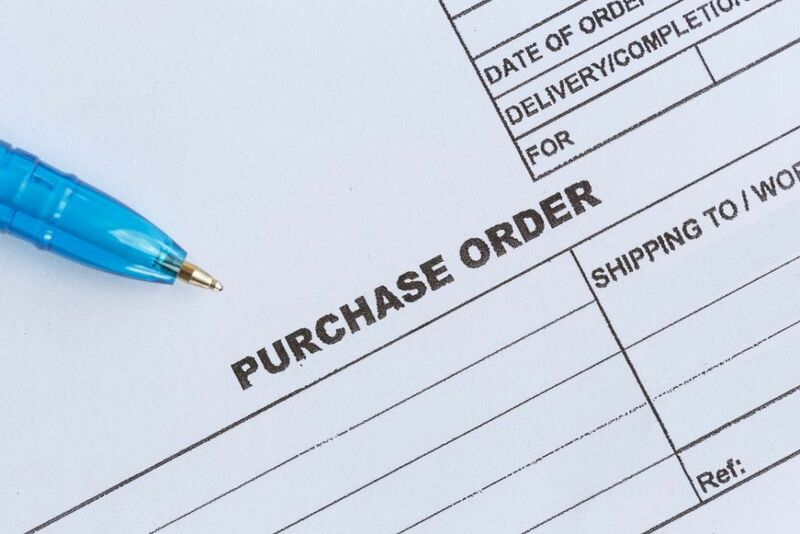 The purchase order is a document generated by the buyer and serves the purpose of ordering goods from the supplier. The invoice, on the other hand, is generated by the supplier and shows how much the buyer needs to pay for the goods bought from the supplier. The PO is a contract of the sale while the invoice is the confirmation of the sale. While the purchase order shows what goods were ordered from the supplier, the sales order is generated by the supplier and sent to the buyer. It signifies the confirmation or approval of the sale. Nowadays, the PO process is no longer paper-based, and the buyer usually sends its suppliers an electronic PO. It is done using the purchasing order module in the ERP software. It helps speed up the purchasing process while decreasing the chance of error.